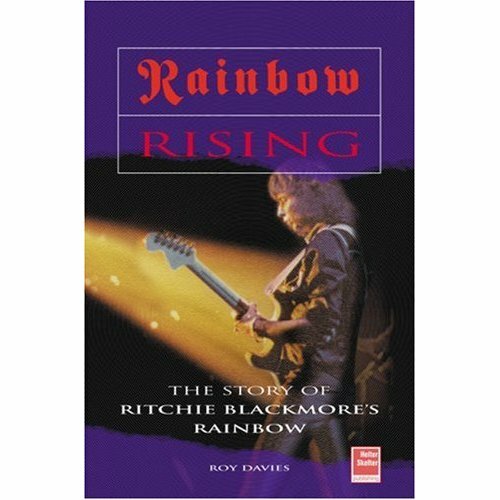 First published in 2002, Roy Davies’ 256 page book gives a reasonable chronological overview of the beginnings, various endings and numerous line up changes of Ritchie Blackmore’s Rainbow. 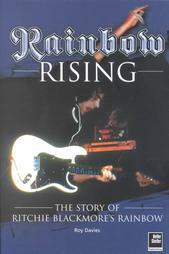 However, there’s not much insight into the man himself, and many critical reviews of the book point out that only around 160 pages are written about the band, with 90+ pages being appendices on everything from equipment listings to tour dates, songs played live, bootlegs and even related websites and fan clubs. For some, this would be invaluable information, for others it seems to be a rehashing of existing material. Overall the original hard back edition was well published with a clean, professional layout and typesetting. Several photographs are used throughout the book, but all in black and white. Still a reasonable read if you weren’t there first time around! Blackmore in black stockings shocker!